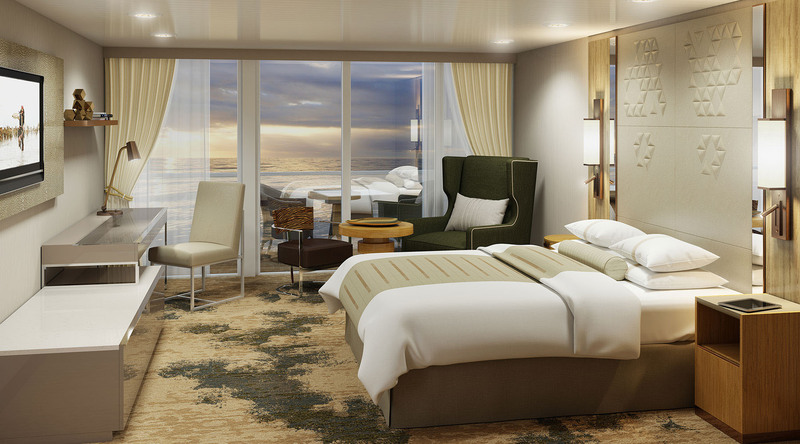 Reimagine Azamara - See The Renderings! Home/Destination Immersion® Experiences Blog/Reimagine Azamara - See The Renderings! The response to our announcement that we're renovating Azamara Quest and Azamara Journey has been fantastic. Guests who are booked for 2016 voyages can't wait to join us onboard and experience the exciting upgrades we have planned. For now, these renderings will have to suffice! But don't worry, this isn't all. We'll be sharing exclusive information and updates all summer long. A muted color palette of earth tones will be incorporated throughout the ships. Our new spa suites will feature rain showers with ocean views, double vanities and outdoor soaking tubs overlooking the sea. A new Asian al fresco restaurant will be one of many revitalized open-air spaces for guests to enjoy.